Before you embark on building your very own computer, you should have the essential tools needed to assemble the computer and install the hardware. This article will recommended the proper tools to help you safely assemble a custom gaming computer. Every gaming computer toolkit requires a Phillips head screwdriver. This handy little device is used almost everywhere you look for installing the hardware in a computer. Optical drives, hard drives, and even PCI cards all make use of a Phillips head screwdriver to secure the device to the computer case. 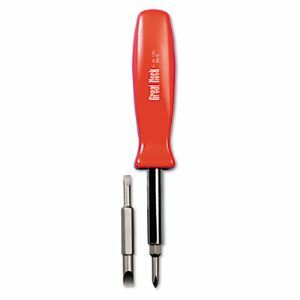 We cannot stress enough using the 4 star pattern Phillips screw over the flat headed screw style simply because the Phillips screws make a much better grip with the screwdriver than its flat headed counterpart. Many times with flat headed screws the screw driver slides right out from the screw body and you have to hold the screw with your off hand. This can be very frustrating especially when you are working with small, valuable computer parts and the last thing you want is to be dropping screws everywhere. 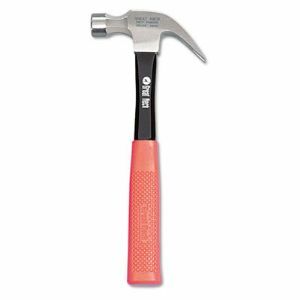 You might find this next suggestion somewhat surprising but nevertheless, when building a computer we have had the need for a standard claw hammer. The hammer comes in most handy when first preparing a case and having to remove some of the stubborn metal PCI and 3.5 inch drive bay slot covers. Many times these can leave sharp edges and if you're not careful, you can cut yourself. Fortunately a hammer can easily remove the sharp metal pieces, eliminating the potentially dangerous situation. Another reason to include a hammer in your gaming computer toolkit is that it can be used to free yourself from static electricity before you start handling the parts. While we highly recommended using an anti static wrist band, if you don't have one, you can always touch the metal part of the hammer before you begin handling the hardware and this too will help reduce static electricity. Just another reason to include a hammer in your computer toolset! Although not essential, having some extra parts on hand can save time when troubleshooting a computer build when things don't go exactly to plan. Inevitably, you will find yourself having just installed all the hardware and go to push the power button for the first time only to find that your monitor remains blank. This is when having a known working part really helps. If you suspect the video card is at fault, simply swap in a good one that you've used before. If after the swap the computer boots up fine, you know the video card was to blame. An extra video card and power supply unit are the two most important extra parts to have but many others can also be beneficial. Building a custom gaming computer is really fun. Having the right tools for the job can help you assemble all the hardware and avoid unnecessary hassles. Be sure to have a Phillips screwdriver, hammer, and working replacement parts on hand when you build and this can save time and hassle later on!